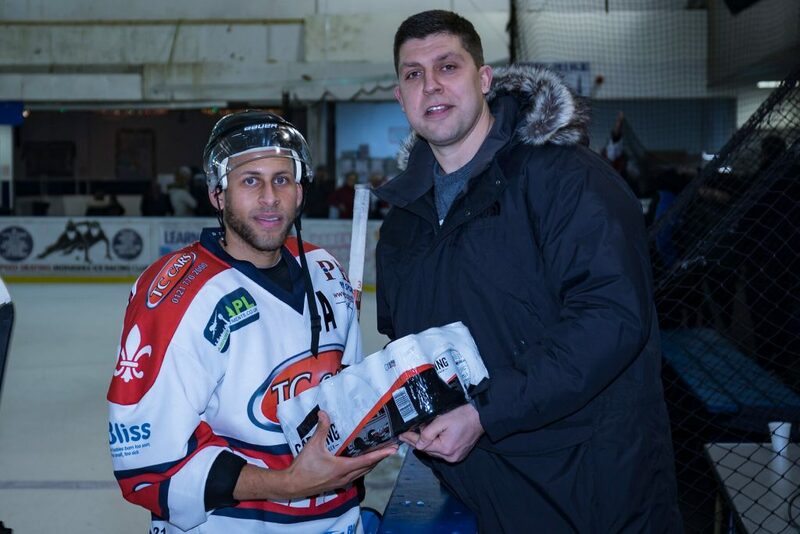 The TC Cars Solihull Barons would count themselves unlucky to come out of Sunday’s tie against the Solway Sharks without a point after a hard fought battle full of determined play from both sides. The initial five minutes of the game were played at a tremendous pace, the Barons keen to show the visitors they would be no pushovers, while the Sharks were no doubt glad to get the blood flowing in legs still stiff from the long bus trip down from Dumfries. 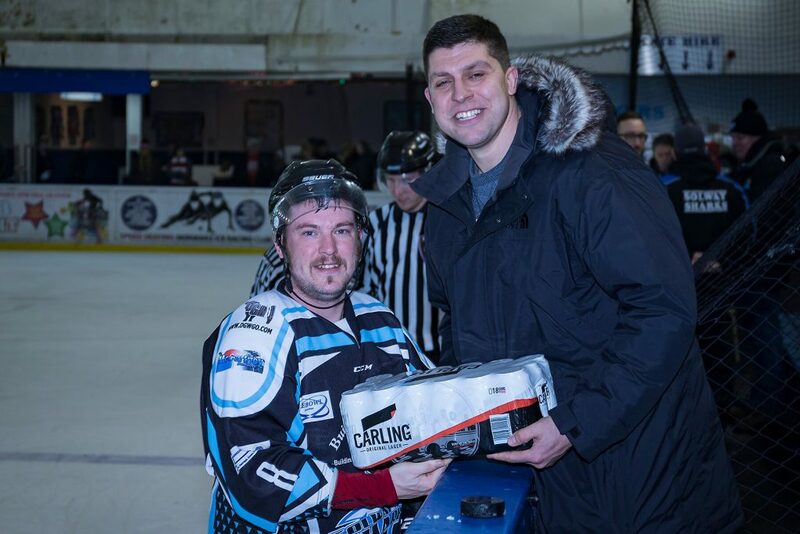 At seven minutes in the Sharks were first to score, Vaclav Kolarik racing up the ice before firing in a high paced wrist shot as he passed over the Barons blue line to defeat Josh Nicholls in the Barons net. Following a spell short handed following a couple of soft penalties, the Barons got their opener as Adam Brittle stole the puck from the Sharks in their own end and rounded the prowling sharks d-men before skating the rubber into the opposition net with four minutes of the first period to go. The second period would demonstrate determination and effort from both rosters but with no further scoring. 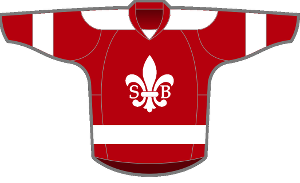 The Barons endured significant pressure from the visitors mid-period but had perhaps the best opportunity of the middle twenty when a Tom Soar shot slid wide off the post. The final period got off to the best possible start for Solihull. 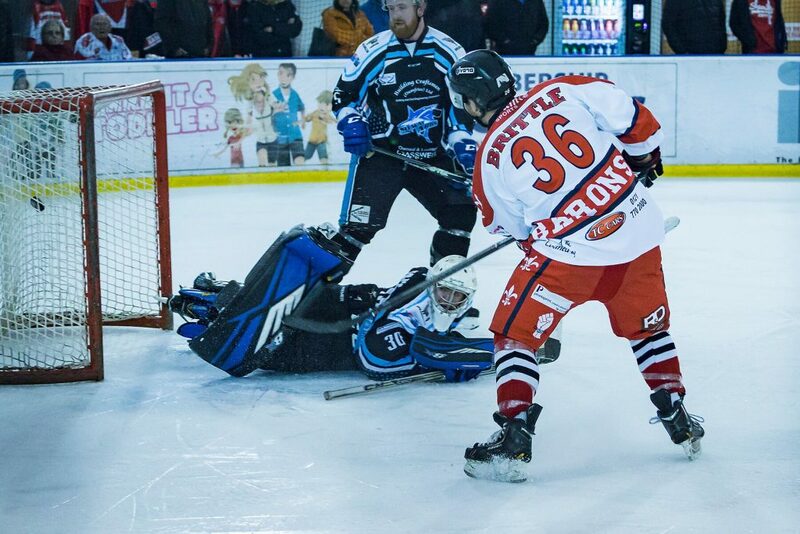 Within 30 seconds of the puck drop Marcus Maynard exploited the bustle round the Solway net to give the Barons the lead for the first time in the evening. This lead would last until eight minutes to go when a pass by the Shark’s Iain Bowie found Ross Murray on the back post for the tap in. 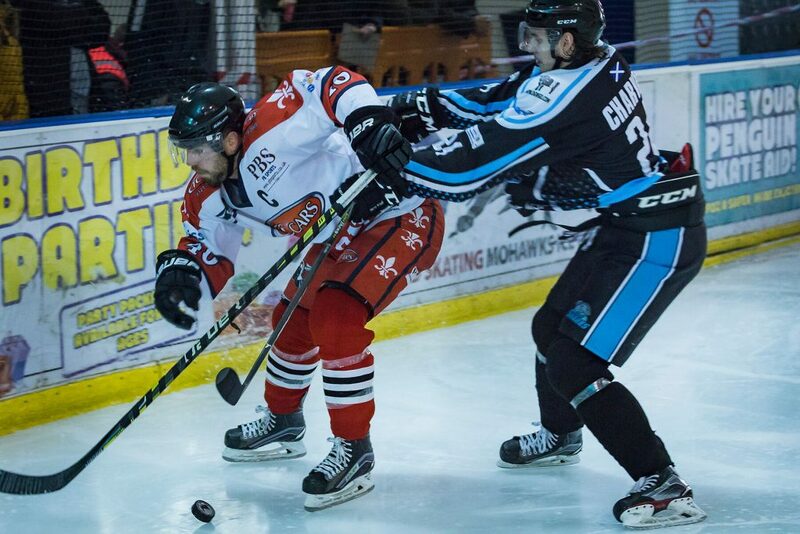 With two minutes to go and things looking like moving toward overtime it would be the Sharks veteran d-man Kyle Horne who would strike the winner with a shot from centre ice which slipped under Josh Nicholl’s stick to allow the visitors to take both points on the four hour trip north. 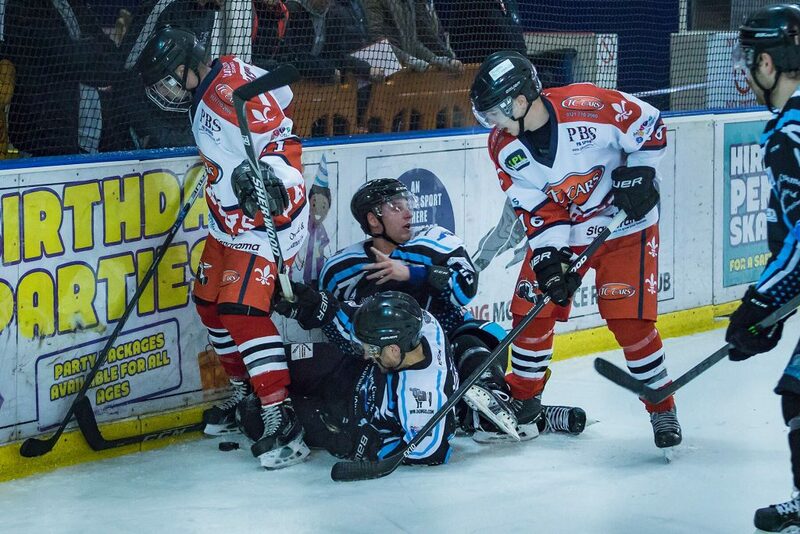 The Barons hit the road again this weekend when they travel to the Blackburn Hawks for the third of four encounters between the two teams this season. 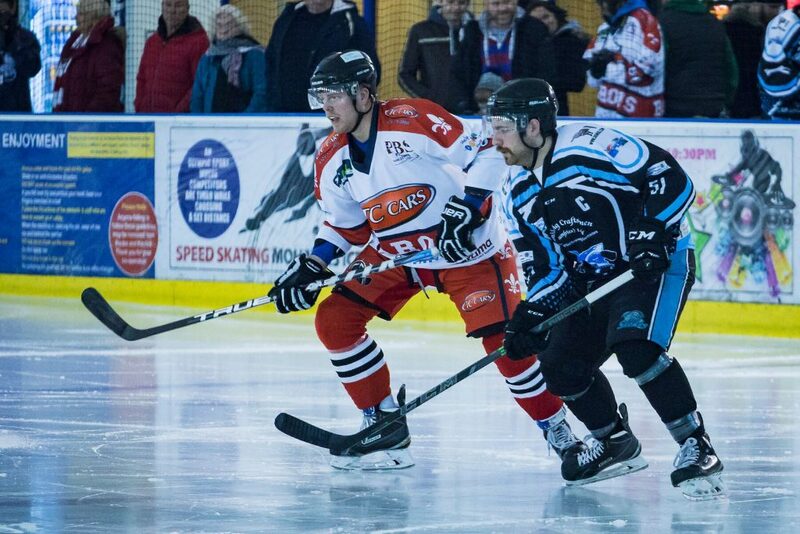 The Barons have won both times but will need to be clinical against the Hawks on their own ice pad. 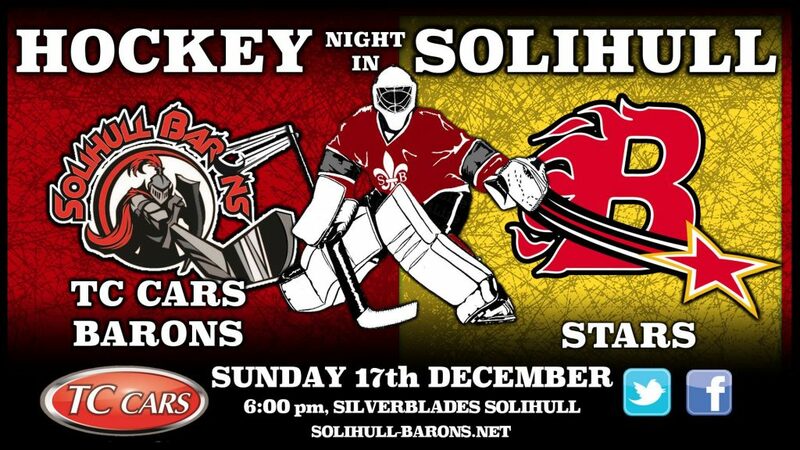 The following Saturday we have the Barons travelling to Ice Sheffield to take on league leaders the Steeldogs while on the Sunday we have our final game before Christmas when we welcome the Billingham Stars to Hobs Moat and if you fancy skating with the players after the game then please join us in our “Skate with the Barons” session ! Face-off 6:00pm.